While surfing the internet waves for our next cruise destination we may have found what could be described as the ultimate cruise. Inspired by Jules Verne’s classic adventure novel ‘Around the world in eighty days’ Oceania Cruises has designed an epic voyage that will fulfill every traveler’s greatest dreams: a cruise around the world in 180 days. But to be honest Oceania Cruises is not the only company to offer a cruise around the world, no less than 14 cruise ships will be circumnavigating the globe in 2018. Cunard for example is sending Queen Elizabeth on a Westbound circumnavigation of the globe. Guests can board in San Francisco or Fort Lauderdale for either 93 nights or 109 nights, while true cruise enthousiasts will of course opt for the roundtrip Southampton, a 122 night voyage. 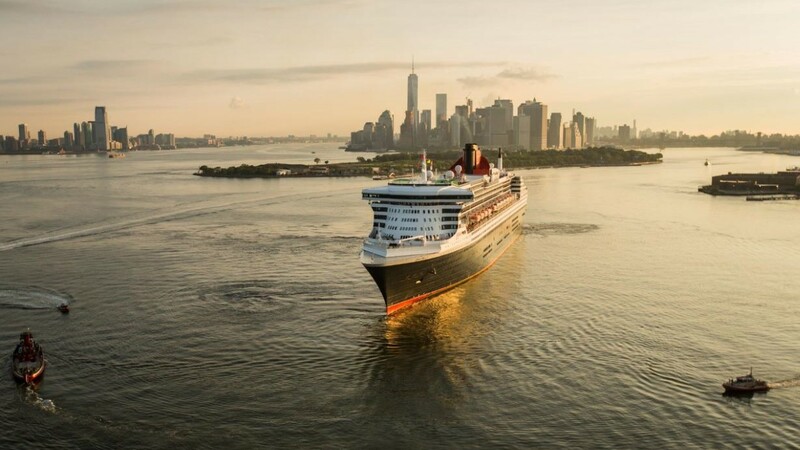 Cunard’s flagship Queen Mary 2 will offer a world voyage with full immersion in destinations in Australia and New Zealand. Guests can embark on a roundtrip Southampton for 120 nights or go all the way on a roundtrip New York for 134 nights. Cruise & Maritime Voyages, a UK based cruise line offering a more traditional and intimate cruising experience to mainly scenic and cultural destinations, is offering a 121 night World Cruise on their “new” flagship Columbus. Setting sail on January 5th from London Tilbury, Columbus will take guests to the Caribbean, Central America, the Panama Canal, French Polynesia, New Zealand, Australia, the Philippines, Taiwan, China, Hong Kong, Vietnam, Thailand, Singapore, Malaysia, Sri Lanka, India, Dubai, Oman, Egypt, Jordan, the Suez Canal, Athens, Malta and home via the Mediterranean. Silversea is sending the all-suite Silver Whisper on a unique 121-day voyage, titled “La Grande Bellezza”. Departing 6 January 2018 Silver Whisper will leave Los Angeles and sail west across the Pacific towards Hawaii, French Polynesia, and New Zealand, sail the Java Sea to fascinating Bali, Probolinggo, Semarang, Borneo, and a host of exotic isles in the Philippines. 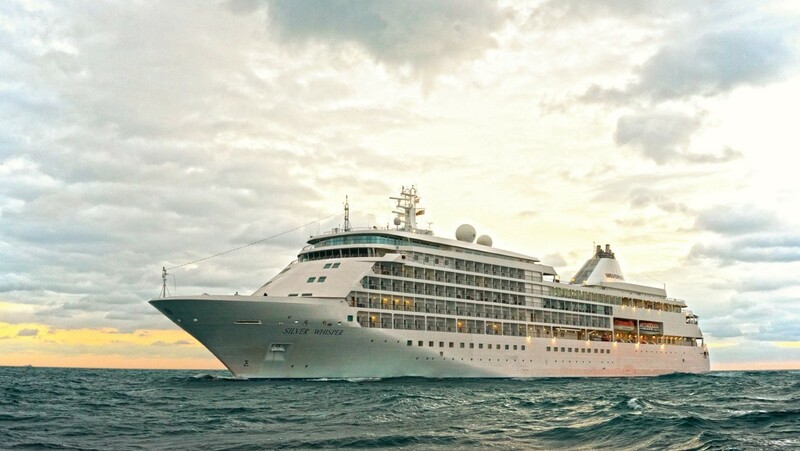 After two nights in Hong Kong and overnight stays in Ho Chi Minh City, Bangkok and Singapore, Silver Whisper will follow the route of ancient spice traders to Sri Lanka, India, and Oman. She will then continue through the Red Sea to Luxor and Petra, the Greek islands and finally arrive in Rome, Italy on 8 May. 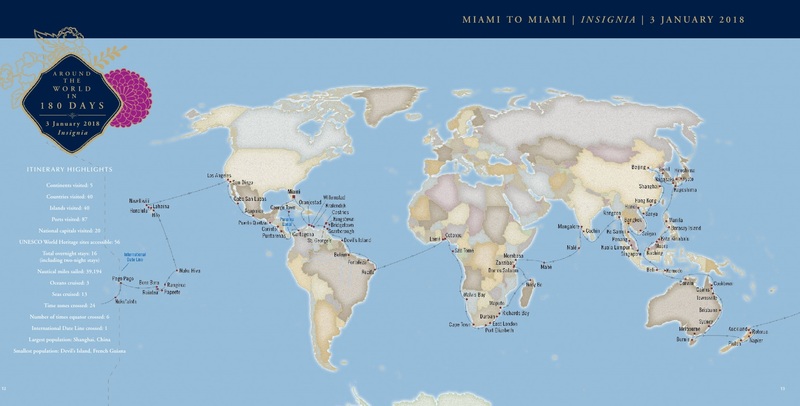 Regent Seven Seas Cruises is sending Seven Seas Navigator on a 137 night worldwide journey. Prior to the voyage guests are invited to enjoy a pre-cruise gala at the Beverly Wilshire hotel in Beverly Hills. After a relaxing stay in the luxurious accommodations of the Beverly Wilshire guests will officially embark in Los Angeles on January 8, 2018 and return to the ‘City of Angels’ on May 25. During this amazing the world travellers will visit 5 continents, 28 countries, 64 ports and 28 UNESCO World Heritage sites. Azamara Club Cruises is sending the recently transformed and upgraded Azamara Journey on her first-ever world journey. In March 2018 the port of Sydney, Australia, will be the perfect send-off as guests step onboard their club-like home away from home for 102 days. This once-in-a-lifetime luxury experience ends on June 17, right beneath the legendary Tower Bridge in the heart of London, England. Guests have the option to add a 13 night ‘Australia & New Zealand’ cruise prior to the start of the journey around the world and/or extend the experience with a 12 night ‘Baltic & World Cup Voyage’. Viking Ocean Cruises is sending Viking Sun, the company’s fourth ship to be delivered in late 2017, on an ‘Epic Viking Journey’ around the globe. Guests can either embark in Miami for a 141 days trip, or Los Angeles for 120 days. Viking Sun leaves Miami on December 15, 2017 and arrives in London on May 4, 2018. 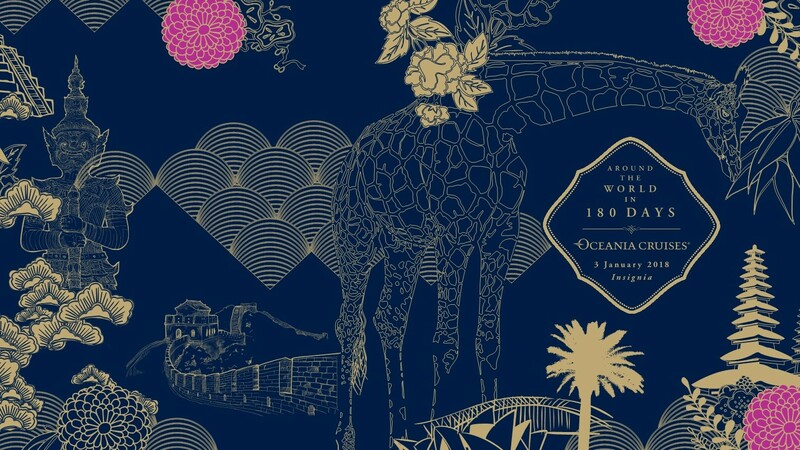 During her 2018 global odessey Oceania’s Insignia will travel among the blissful islands of the Caribbean and call on colourful South American ports before crossing the high seas to chart Africa’s diverse coastline and the gorgeous Indian Ocean. 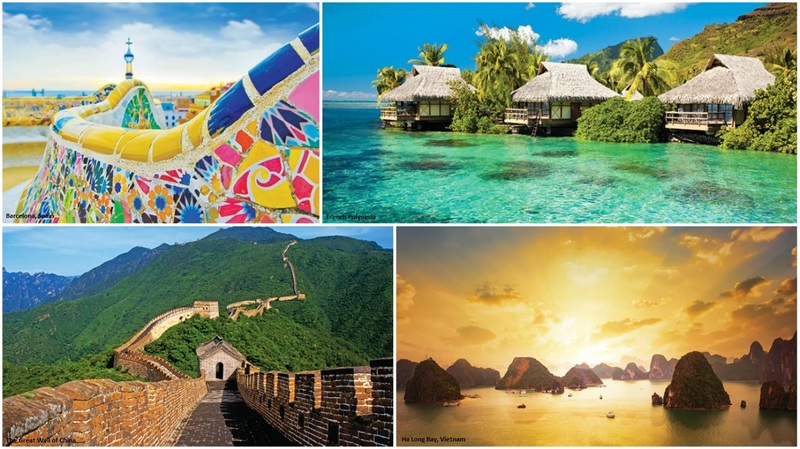 Further east, Insignia brings guests to an impressive collection of off-the-beaten-path secrets throughout Asia before heading down under to discover Australia and New Zealand’s dramatic landscapes and world-class cities. Having relaxed in the dreamlike paradise of the South Pacific and on the golden shores of the Hawaiian Islands, this magnificent journey will transit the Panama Canal before arriving back in Miami, the starting point of this extraordinary luxury cruise experience. Some of the 87 destinations during this six month world exploration include Barcelona, Spain, where in 1882, under the watchful eye of Antoni Gaudí, construction started on the Sagrada Família; the sand dunes of Walvis Bay, Namibia; the ancien Temples of Bagan, a collection of more than 10,000 Buddhist temples, pagodas and monasteries in the Mandalay region of Myanmar; the three quarter mile U Bein Bridge in Myanmar, built around 1850 and believed to be the oldest and longest teakwood bridge in the world; Ha Long Bay in Vietnam, a UNESCO World Heritage Site, featuring thousands of limestone karsts and isles in various sizes and shapes; the Sydney Opera House in Australia, completed in 1973 and one of the architectural masterpieces of the 20th century and a UNESCO World Heritage site and the tropical islands of French Polynesia in the Pacific Ocean. Of course living a cruise life of luxury during six months doesn’t come cheap. 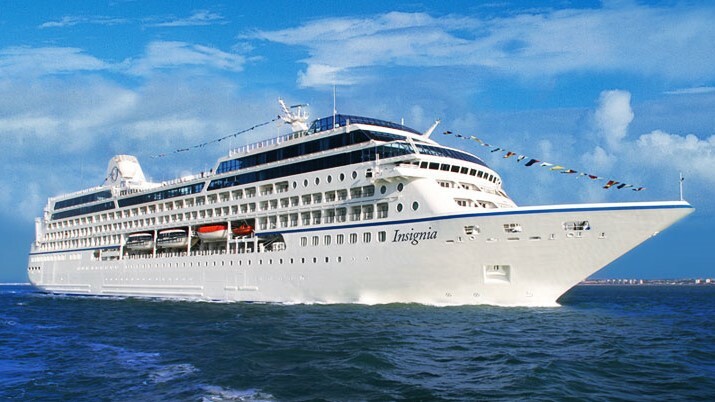 In the case of Oceania’s Insignia interior staterooms start around €33,000 or $40,000 while the ultimate Owner’s Suite will set you back a mere €110,000 or $130,000. And believe it or not, you will have to get on a waitlist for most of these staterooms!